Chart: Do You Know Your Whiskey? Whiskey is delicious and fun to drink, but it's tough to keep track of the diverse offerings and industry nomenclature. 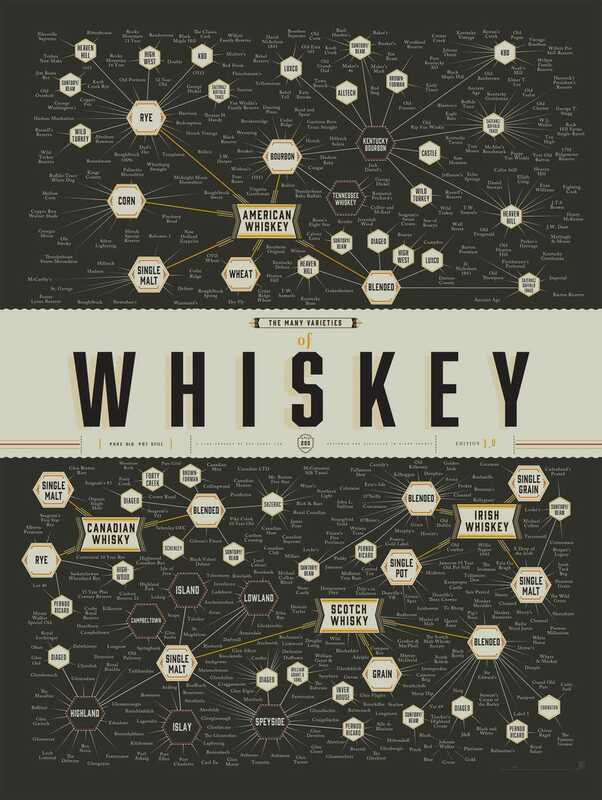 Pop Chart Lab has your back: Similar to what they did with beer, they've put together a great graphic on the taxonomy of whiskey. They even managed to nail the geographic details of the extremely boring "whiskey vs. whisky" debate, so good on them. The next few years will be an interesting time for the business, as new brands attracted by the current bourbon boom enter the market. Consider the chart above a rough snapshot of the industry's main players as they stand today, with the notable omission of Japanese producers (among others, probably).